I'll give you a hundred dollars." The fisherman dove into the water. Depositing her at the feet of the man, the fisherman said, "Okay, where's my hundred dollars?" The man said, "Look, when I saw her going down for the third time, I thought it was my wife. But this is my mother-in-law." 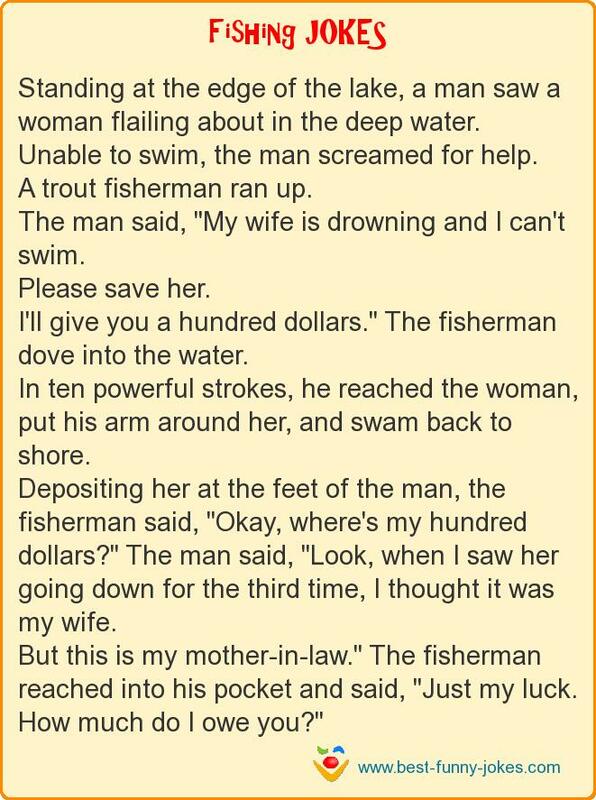 The fisherman reached into his pocket and said, "Just my luck.